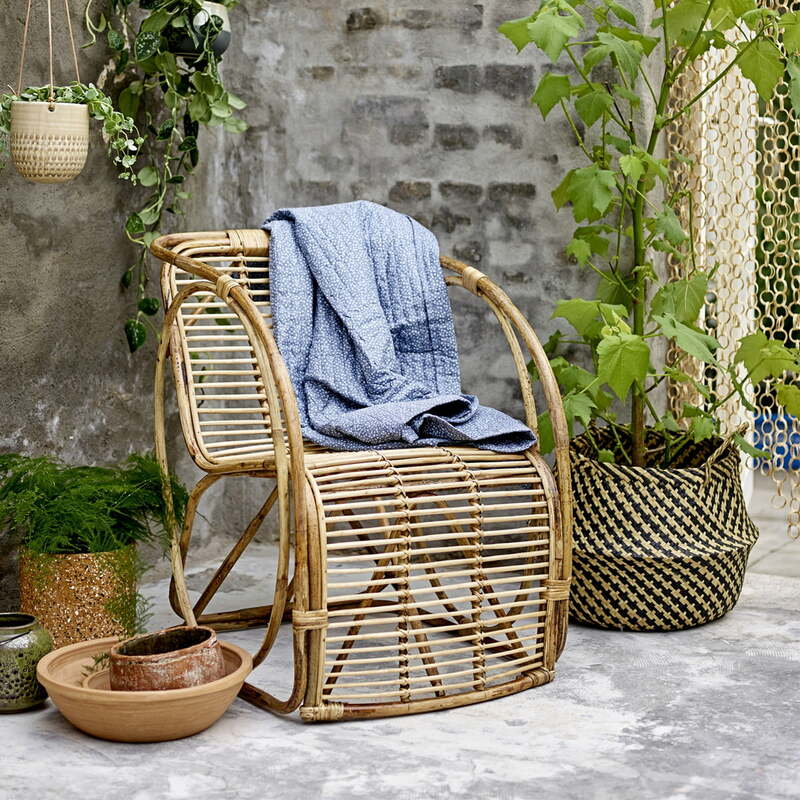 With the sea grass basket of Bloomingville every ambience can be upgraded comfortably. The braided structure and the material provide a natural appearance. 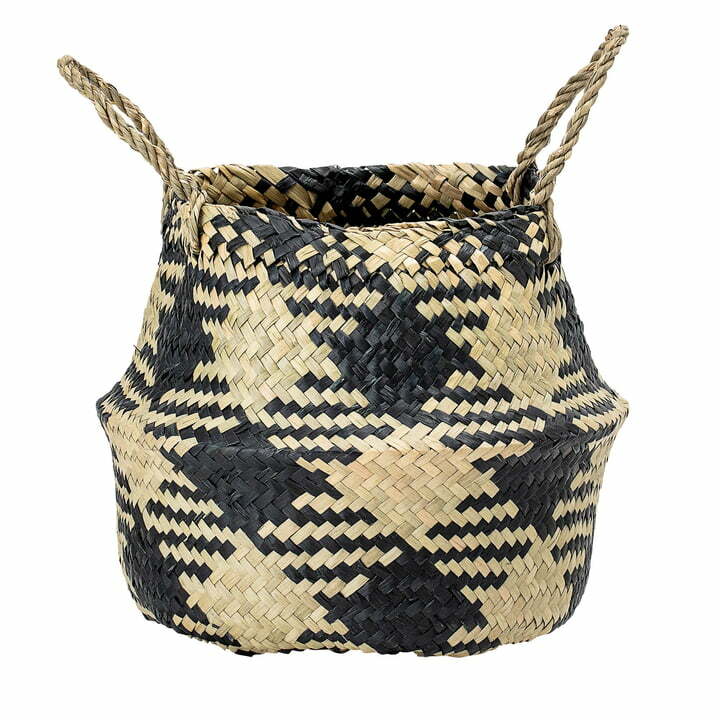 A high-contrast painting underlines the ethno look and makes the basket a real eye-catcher. Whether used to store blankets, magazines and toys or as a plant pot, the basket of seaweed blends in perfectly with any ambience. The basket is available in different sizes and with different paintings, which can also be combined wonderfully with each other. Seaweed basket of Bloomingville in single view. The seaweed basket convinces with its chequered, contrasting pattern, which makes for a great eye-catcher. Seaweed basket of Bloomingville in the ambience view. Whether used to store blankets, magazines and toys or as a plant pot, the basket of seaweed blends in perfectly with any ambience.